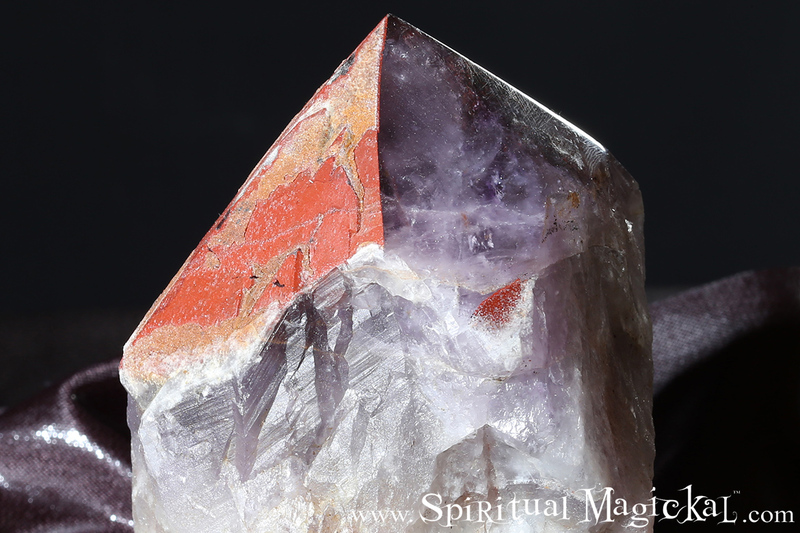 Auralite-23 Crystal Red Cap Master, Standing, Raw, Canada. This particular crystal stands 6 inches tall (15.2cm) and weighs 2 lb. 13 oz. 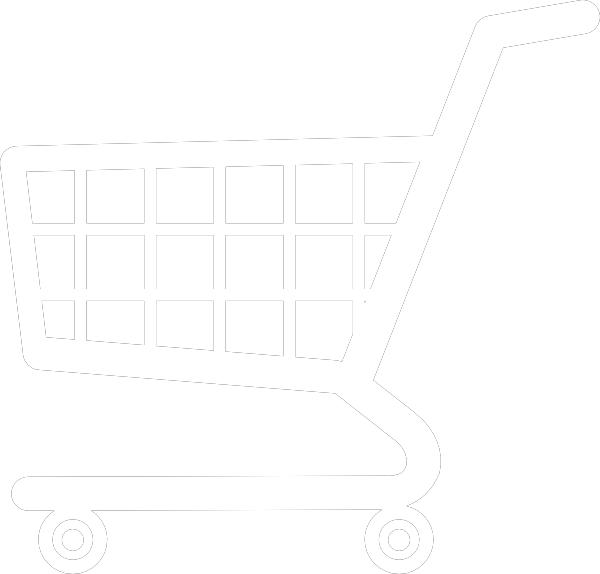 (1276 grams). Auralite-23 crystal gemstone is the most powerful crystal on the planet with the highest vibration and holding the energies of 23 different earth elements and minerals all in one, including titanite, cacoxenite, lepidocrocite, ajoite, hematite, magnetite, pyrite, pyrolusite, gold, silver, platinum, nickel, copper, iron, limonite, sphalerite, covellite, chalcoppyrite, gialite, epidote, bornite, rutile, and smoky quartz in amethyst. 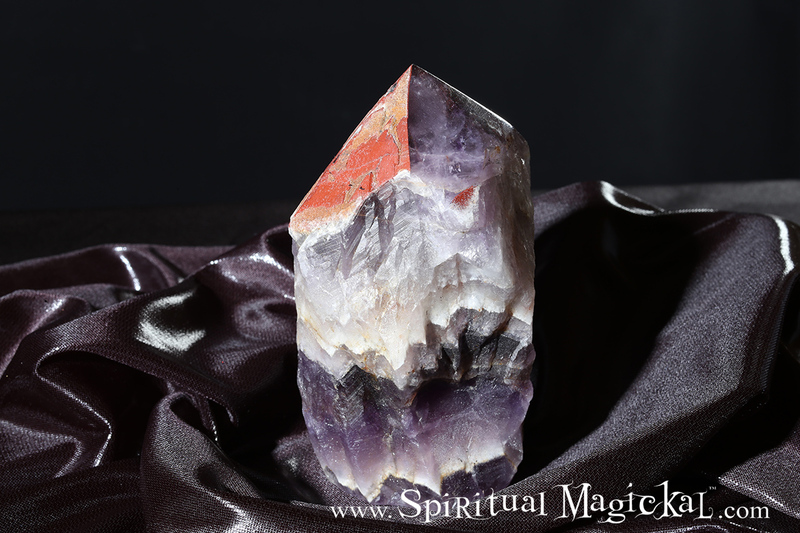 Its like having 23 crystals in one, a powerful crystal ally and spiritual healing tool. Auralite-23 comes from only one crystal gem mine in the world, and that is the mine located in the Boreal Forest north of Thunder Bay, Ontario, Canada, also called the "Cave of Wonders". Auralite-23 crystals have been scientifically proven as the worlds oldest crystal gemstone which developed more than 1.5 billion years ago while the first signs of life appeared on Earth. Each crystal reflects its own journey frozen in time. 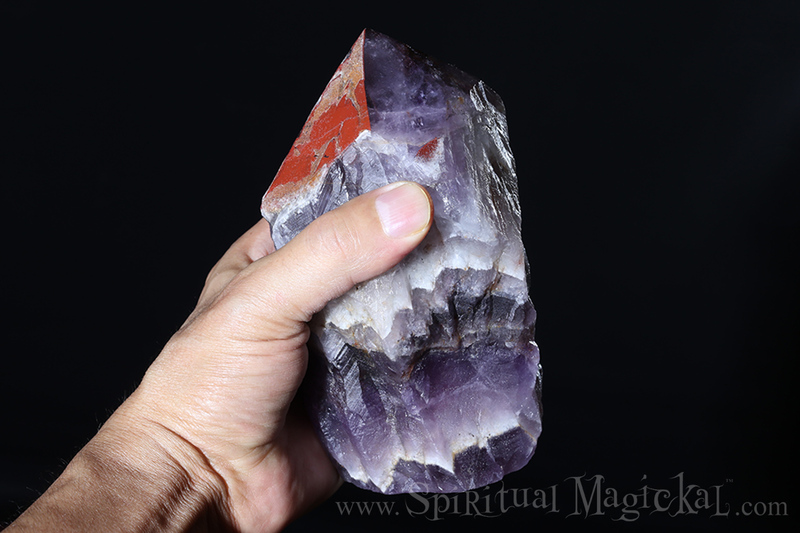 We here at Spiritual Magickal are pleased to offer you "AAA" graded hand-mined Auralite-23 and direct from the mine in Canada and we know the mine owner personally. 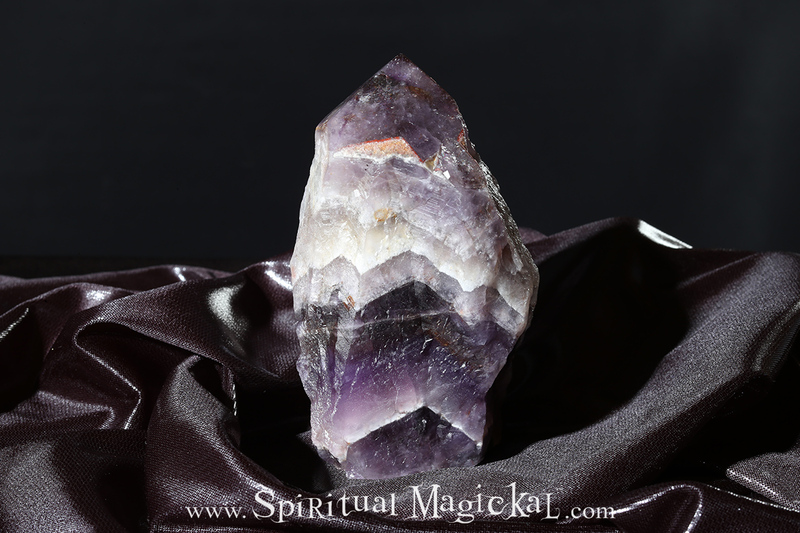 For detailed information about this crystal, please click to our Auralite-23 Crystals page.